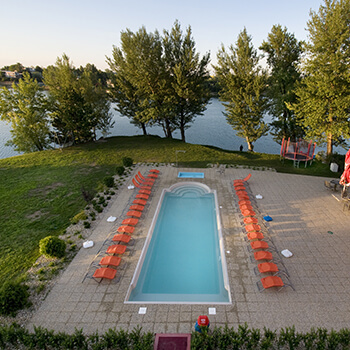 Wellness Garni Hotel Relax is situated directly on the shore of Northern Sunny Lakes in town Senec. It´s location and calm lake water create peaceful and relaxing scenery for our guests. Our hotel has its own private beach and outdoor swimming pool. Town Senec lies in the southwestern Slovakia, 25km from the capital city Bratislava. Its biggest attractions are the Sunny Lakes and thanks to them, Senec became one of the most popular recreational sites in whole Slovakia. 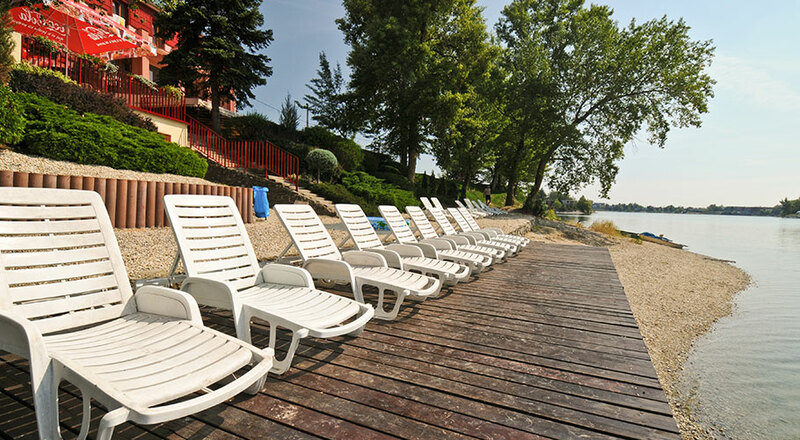 More than 100 ha of water, over 2200 sunny hours each year, excellent accommodation and gastronomical possibilities were the reasons for Senec to become an influential and demanded destination for tourists from Slovakia and whole Europe. More than one million tourists visit Senec each year. Town has excellent traffic accessibility by D1 highway or Budapest-Bratislava railway. Moreover, international airport Bratislava (BTS) is less than 15 minutes away by car. Our Vital World is the place where your body and soul come to mutual natural balance. 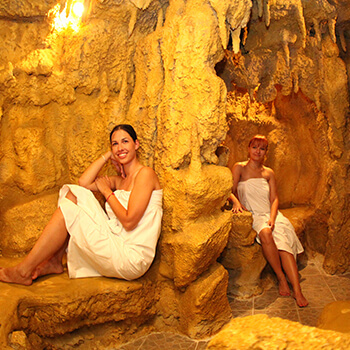 Its cave architecture, aromatic essences, relaxing music, refreshing pools and tepidarium will make you feel perfectly relaxed instantly. 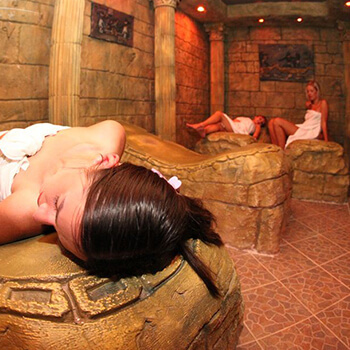 Old Romans and Greeks used to spend time in steam saunas. They knew its powers and positive effects on human body, immunity and health. Come to our Vital World, place where stress and exhaustion won’t stand a chance. Wellness Garni Hotel Relax along with nearby sites of Northern Sunny Lakes were reconstructed and put into operation in 2004. During hotel reconstruction, we paid attention to modern trends in hospitability business what makes it an attractive and demanded hotel. 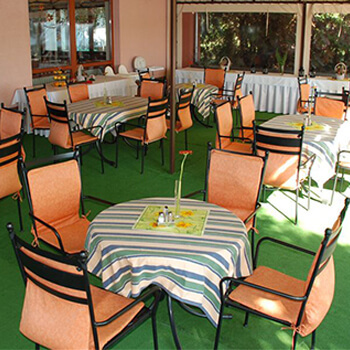 Wellness Garni Hotel Relax is the oasis of peace with ideal location directly on the shore. Hotel was partly closed from 2013 to 2015 due to ownership change. 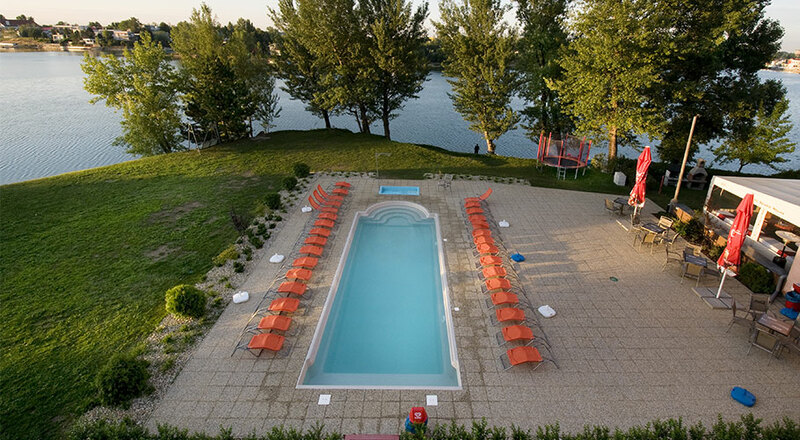 At this moment Wellness Garni Hotel Relax is fully operational and its gates are opened for everyone who wants to find peace and quiet at beautiful Sunny Lakes. Guests can relax in our wellness centre – Vital World. During hotel reconstruction we added a pool, cafeteria and playground for children. We offer accommodation in 33 double rooms, apartments and suites. Hotel also provides space for conference, training courses or workshops in 5 specially equipped rooms.